In my years working as an archivist I came across a lot of genealogists looking for convicts in their family tree (it had become fashionable in Australia to be able to trace one’s roots back to the era when the country was a penal colony for England) but I don’t think I ever came across one who was saving the world from a killer. In crime fiction though there are a few such hardy souls. For my face to face book club last year we read Dan Waddell‘s first book to feature genealogist Nigel Barnes, The Blood Detective, and it was my favourite book club read of the year. Barnes is called in to help London police when a series of bodies are found to have references to birth and death records carved into them. Having fled the world of archives primarily due to growing tired of a certain kind of genealogist I was particularly taken with Waddell’s depictions of the profession but I also liked the way he incorporated the historical research into his story of a serial killer on the loose. I’m looking forward to reading the second book in this series, Blood Atonement, which looks to incorporate one of the world’s foremost genealogical research institutions, the Morman Church’s archives in Utah. 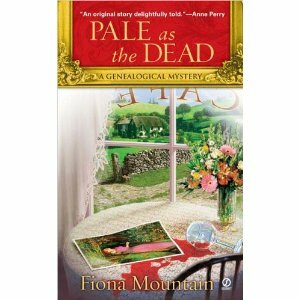 In more of a cosy mystery Fiona Mountain‘s Pale as the Dead introduces Natasha Blake as a professional genealogist called in to assist with the search for a missing artist’s model. Once you get past the rather implausible premise (why a genealogist not a private detective) the fictional investigation is quite fascinating and the details about both the art world and the profession of genealogy are incorporated well into the story. 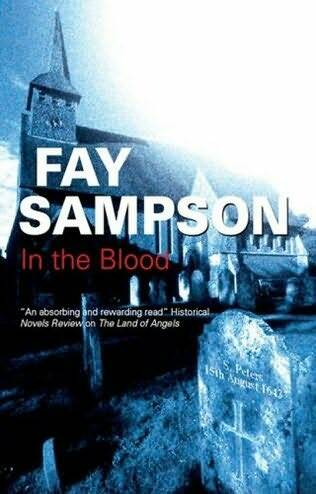 A series I haven’t yet read but which looks interesting is English author Fay Sampson‘s series featuring Suzie Fewings who is an amateur family historian. The blurb for the first of three books in the series so far, 2009’s In the Blood, says “Keen family history researcher Suzie Fewings is delighted when she discovers an ancestor with the same name as her teenage son. But what she finds out about the seventeenth-century Thomas casts a darker shadow than she expected. Then her own Tom’s girlfriend is found dead in mysterious circumstances, and Suzie finds it hard to suppress her growing fears that Tom has inherited more than a name from his predecessor”. The longest running series I know of to feature a genealogist is Rett MacPherson‘s which so far consists of 11 books featuring Torie O’Shea who is a museum docent and amateur genealogist in Missouri. 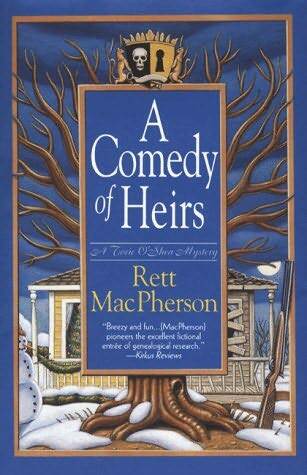 In the third book of the series, A Comedy of Heirs, Torie discovers that her great grandfather was shot on his front porch and the crime never solved (partly due the long list of people who hated him). When Torie starts to investigate the 50-year old crime she uncovers a conspiracy of silence within the family and things are less than humorous when new deaths occur to cover up the old crime. Do you know of any other crime fiction to feature a genealogist? Or perhaps one where genealogy plays a pivotal role? Perhaps Arnaldur Indridason’s Jar City would qualify in the second category as it involves the use of Iceland’s genealogical database to solve the investigation at the heart of the novel. This is the second round of the meme which was first run from late 2009 to early 2010. My contributions that time were discussions of books with one word titles. This entry was posted in Crime Fiction Alphabet, Dan Waddell, Fay Sampson, Fiona Mountain, list, Rett MacPherson. Bookmark the permalink. Bernadette – A great choice for “G!” You’ve mentioned some good books, too :-). Val McDermid s The Grave Tattoo has a theme of genealogy, although it’s not the major theme. The protagonist is searching for an old manuscript she thinks may exist, and she has to trace the family members of the person who last had it. That aspect of the novel was actually pretty interesting. Great entry for the letter G! I have The Blood Detective down for my TBR list for 2011. I’ve named it for one of the challenges I’m doing, so I’ll have to get to it. It sounds like a really good one. It isn’t exactly crime fiction, but I recently read The Sinkings by Amanda Curtain, a book that I discovered at the 2009 Sydney Writers Festival when I heard Amanda talk about the book. It is about a genealogist who researches a convict that is the victim of a violent murder. The book goes back and fourth between the convict and the genealogist so I suppose it is a little bit more historical than anything else, but it does contain crime! I can’t add any examples! I didn’t know you used to work as an archivist. I also worked in a County Record Office, helping people doing family research. There were many visitors from Australia, USA and Canada tracing their ancestors. I remember one lady sitting in the Searchroom, whilst her husband was fascinated by the parish registers, saying I didn’t come all this way just to sit in this room! She obviously was bored by the whole thing. In my latest Danish manuscript genealogy plays a very important role. The young protagonist´s father is ill, and this makes her realize that she wants to know more about her mysterious grandmother. She finds a murder mystery in her own family. 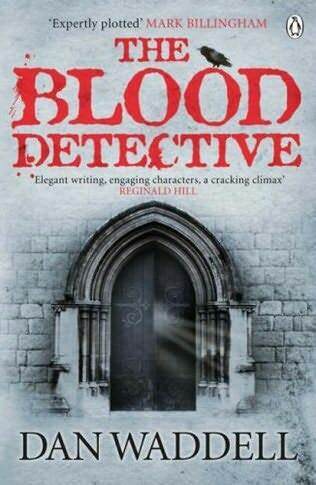 The Blood Detective looks like a great read – I’m adding that one to my list. I can’t think of any crime fiction I’ve read that features a genealogist! Bernadette, I didn’t even know there WERE mysteries featuring genealogists. Where have I been? Thanks for the heads up. I will definitely be checking some of these out. Good choice for the Letter G! My third addition to the crime fiction/genealogy canon is on its way soon!